Categories: Charity Wedding Favours, Recycled White Packets, Unusual & Unique Wedding Favours, Personalised Seed Packet Wedding Favours, Recycled Coloured Packets. The Seahorse Trust is a charity very close to our hearts. These extraordinary little creatures are killed in their millions every year to be part of jewellery or for Chinese medicine and for sale as pets. And their death is not a pleasant one – they are hauled out of the ocean and left to suffocate on the beach in boiling heat and pain to dry them out. If things carry on the way they are, seahorses will be extinct in 30 years. This is an awful thing to contemplate and we must do all we can to prevent this. You can help by not buying jewellery or other trinkets containing real seahorses and by helping to support The Seahorse Trust in their fabulous work to help save these marvellous marine animals. Seahorses enjoy a bit of romance and pair up as the perfect couple and so are an ideal symbol for true love. 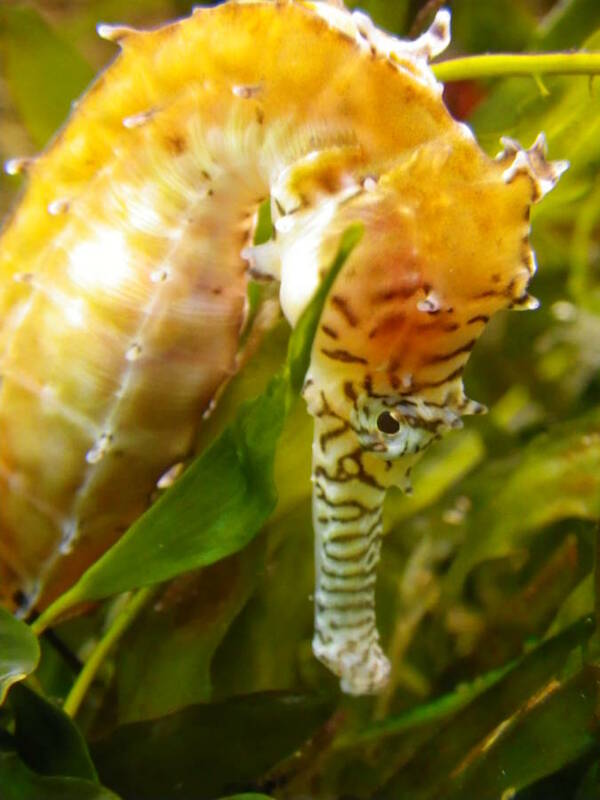 The Seahorse Trust was set up in 1999 as an umbrella organisation to preserve and conserve the marine environment using Seahorses as their flagship species. They work in partnership with many organisations and people from all over the world. Seahorses are a unique fish species that occupy the coastal areas of most of the world and they are under threat, being vulnerable to human and natural interference they suffer badly and by working together we can make a difference to their future and the future of these fragile eco-systems. The Seahorse Trust is a registered charity – number 1086027. For every one of these seed packets sold, a donation of 50p will be made to them. 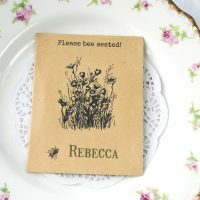 The seed packets are made from recycled paper and measure 9 x 12 cm. The seeds inside are a mix of British-grown British wildflower seeds – Cornflower, Corn Chamomile, Corn Marigold and Poppy. All these flowers are perfect for butterflies, bees, moths, hoverflies and other little bugs! 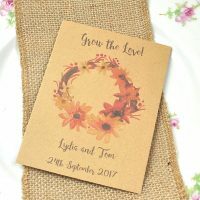 The seed packets are personalised with your wedding details – please advise these in the box above. 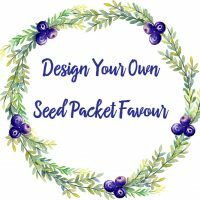 You will get around a gram of seeds in a paper sachet inside the packet. 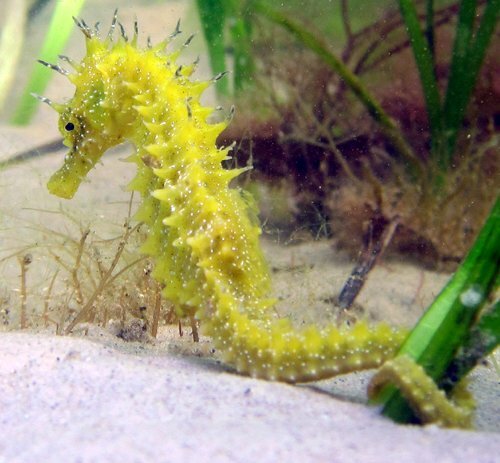 The Seahorse Trust is a very small charity totally dependent on donations, so if you are able to spare a few £s to help save these lovely creatures please visit their website and donate. Thank you! They are also petitioning Etsy to stop selling real seahorse products on its website illegally. To sign the petition please visit change.org.